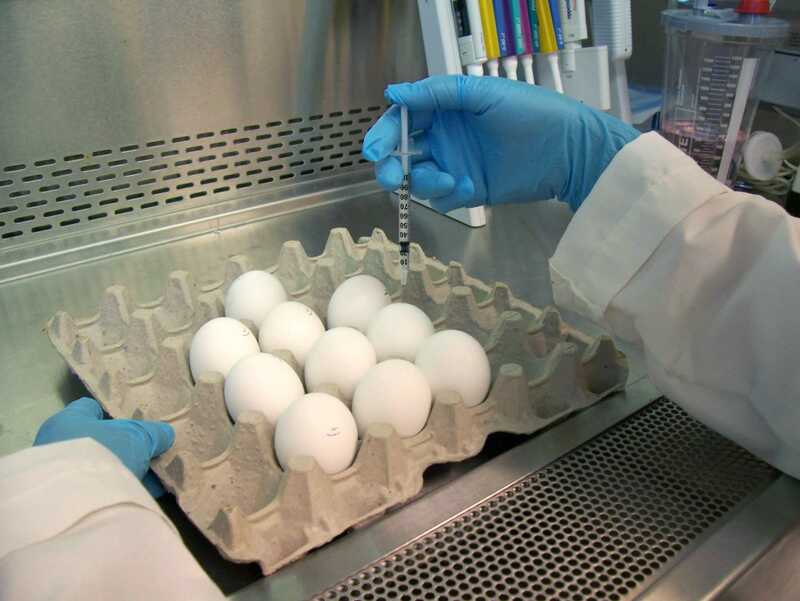 Food and Drug AdministrationAn FDA laboratory worker injects an influenza virus into an egg, where it will grow before being harvested. This year’s flu vaccine is not very effective at staving off one of the most virulent and common strains: H3N2. The shot can still help prevent 40-60% of flu cases and make the virus milder if you do catch it. Flu season is off to a strong start in the US: three states are already reporting high flu-like activity. This year’s flu vaccine may not be as effective at protecting people against one of the most common, nasty strains of the flu. But that doesn’t mean you should forgo the shot. The flu vaccine generally reduces the risk of the overall population contracting influenza by 40-60%, but this year’s shot isn’t much help in protecting people from one of the most active, severe strains circulating: the H3N2 virus. Dr Michael Osterholm, who directs The Center for Infectious Disease Research and Policy at the University of Minnesota, told Business Insider that the vaccine is, at best, around 10% effective on H3N2. “Unfortunately, it’s the one strain that the vaccine is really underperforming in, in every regard,” he said. An above-average flu season in the US? 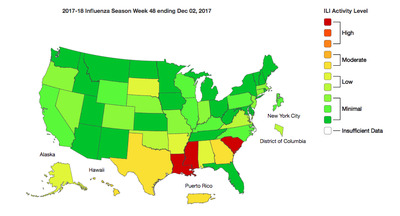 It’s still early in the flu season, but three US states, Louisiana, Mississippi and South Carolina, are experiencing high “Influenza-Like Illness” activity. Centres for Disease Control and PreventionFlu activity in the US for the week of Nov 26- Dec 2, 2017. Flu forecasters say so far, flu levels are a little higher than average. Federal flu forecaster Dave Osthus at the Los Alamos National Laboratory told Business Insider that flu levels are looking a little higher than average for this time of year, but they’re still within a normal range. He predicts the peak of flu season will hit sometime between late December and early March 2018. Labs have updated the part of the vaccine that protects against the H1N1 strain this year. But the reason the 2017 shot isn’t preventing as many cases of the H3N2 strain is that while scientists were growing the virus in chicken eggs, that strain mutated. 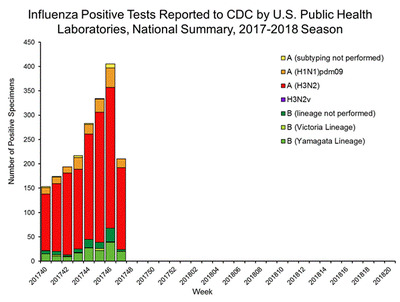 It’s not a harmful defect, but it means that the non-live strain of H3N2 influenza in the injection is slightly different than what’s actually circulating in the human population. Centres for Disease Control and PreventionThe H3N2 cases reported so far are shown here in red. That means our bodies don’t have the best possible antibodies to fight off real cases of H3N2. Consequently, the majority of flu cases reported in the US so far this season have been that H3N2 strain. Osterholm said it’s still a good idea to get a shot. Roughly 40 per cent of the US population opts for the vaccine every year, and the CDC estimates it prevents about 5 million flu cases annually across the country. Flu vaccination can also come in the form of a live-flu mist, but the CDC is not recommending that anyone get that this year because it’s been less effective than the shot in recent years. In addition to lowering your chances of getting the flu, the shot can also make the illness milder if you do catch it. Studies of pregnant women who get the flu shot have also shown it can reduce their newborns’ risk of catching the flu by half. Getting your flu shot can also contribute to ‘herd immunity’ – less cases of the flu overall means more protection for the most vulnerable people in the population: the elderly, children, and individuals with certain allergies who can’t get the vaccine. Most importantly, a flu shot won’t ever give you the flu, since the virus that’s injected is not live. The shot can come with common side effects, however, including soreness, low-grade fever and muscle aches. But that’s still a lot better than coming down with a full-blown flu, which can knock people out for over a week.